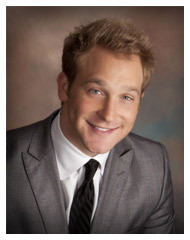 Nick Bahn began his career in the commercial real estate industry in 2011 after graduating from Arizona State University. He immediately went to work for GJ Grewe, Inc., a local retail shopping center developer throughout Missouri and Illinois. At GJ Grewe, Nick was a retail leasing agent for a large portfolio of shopping centers in excess of two million square feet. Over two years later, Nick joined Stephen F. Bahn Commercial Real Estate Services carrying his retail excellence along with him. In addition to retail, Nick focuses on selling and leasing Bahn Realty’s current portfolio as well as generating new listings. Nick has assisted in new ground-up development as well as assuming tenant representation roles for a select number of retailers. Nick has a sharp understanding of the commercial real estate market and is constantly working to keep up with the market trends and leads, while diligently seeking voids for new opportunities.